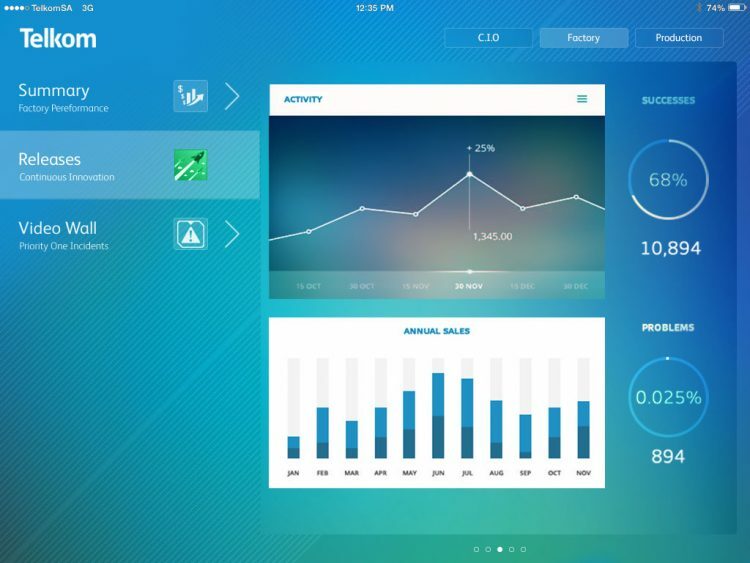 I had the privilege of being tasked with the design of the Telkom CIO Dashboard iPad app. The idea was to give the C.I.O. and top management a high level window into their sections. It was to be a private app, only accessible to the C.I.O. and his management team. Sadly, the app never made it out of the design phase due to more pressing matters.